All homes currently listed for sale in the zip code 90029 as of 04/25/2019 are shown below. You can change the search criteria at any time by pressing the 'Change Search' button below. 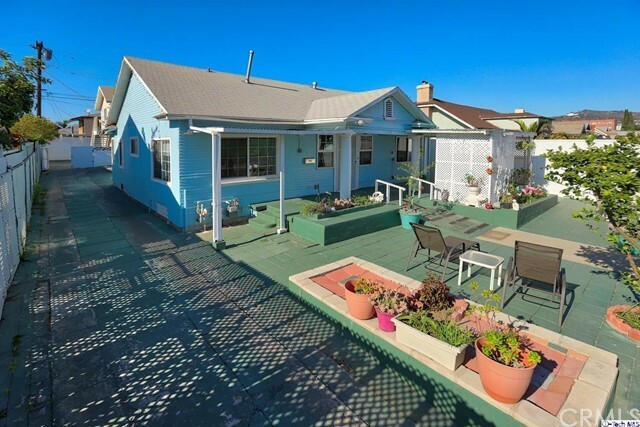 "This charming, spacious light and bright house is located in the heart of iconic Sunset Junction in a quiet neighborhood with a beautiful tree line that surrounds it. Walk to one of a kind shops and restaurants. Perfect for investor or owner user. Hardwood floors throughout the living area and in the bedrooms. Large kitchen that has access to the back yard and BBQ area. 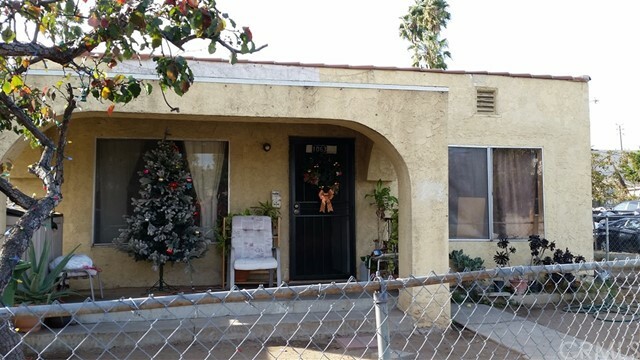 There is a room down stairs that has a bathroom and a room to install a shower and has a separate entrance from the back yard and can be income generating. R1.5 zoning. Pictures of the patio will be uploaded soon." "Melrose Hill duplex. 3 bed, 2 bath main house of 1,534 sf and 1 bed, 1 bath guest unit of 608 sf. Romantic and eclectic Melrose Hill pad with income behind you. You will be sorry if you miss this one!" "**POTENTIAL DEVELOPMENT OPPORTUNITY**, zoned LAR2. Perfect location on busy Virgil with easy access to Sunset Junction, Downtown, Echo Park, Hollywood and the 101 Freeway. And the rare 6700 square foot lot offers a HUGE backyard. This is a must see!" "NEW PRICE REDUCTION! SELLER WANTS TO SELL NOW! ! Fully & tastefully remodeled house, better than brand new w/ granite, marble, mosaic, Italian tiles, shiny hardwood flr, new roof, copper plumbing, updated electrical, new stucco & paint interior& exterior, new garage, central air/heat, ceiling fan on each bedroom, crown moldings thru out with rope lites, huge formal living rm w/fireplace & lge formal dining room w/ stained glass, both w/ floor to ceiling French windows w/decorative wrought iron, 2 ensuite master bedrooms (1 w/ balcony), 1 downstairs bedroom with office, fam rm/den, laundry area inside, big kitchen w/ breakfast area, built in cabs, walk in closets, huge backyard ideal for entertaining or room for pool or build another unit, old world charm yet with modern features, new fence, gate with remote. Move-in ready. Centrally located, close to public transportation, schools, shops, groceries, places of worship, banks, etc. LA is related to Seller . A TRUE GEM! ZONED LARD2"
"Only two homes left! Hyperion Silver Lake is a sustainable, new home community in the the hippest area of LA. Located between Sunset Junction & Virgil Village, these 8 structurally independent homes are open plan & filled with incredible light from walls of windows. Enter into a formal foyer or from the two-car garage with direct access. Host guests in a large 1st floor bedroom with an en-suite bath. A master bedroom suite with walk-in closet & luxurious bath as well a 3rd bedroom with en-suite bath are both on the 2nd floor. The best part of the home is the open concept kitchen, living & dining room on the 3rd floor with a large walk-out deck. Open the full wall accordion door to enjoy true indoor/outdoor CA living. Have a glass of wine and watch the sun set on the Hollywood Sign, the Griffith Observatory, and the surrounding hillsides. Their modern aesthetic, sustainability, quality of their construction, smart technology & hi-end designer finishes truly make these homes unique"
"Immaculate and Practical 4 bedroom home. Hedged, gated and beautifully landscaped and very low maintenance. Parking for 10 vehicles. Coffered ceilings with beautiful word work. Formal dining room with vertical grain Douglas Fir paneling with integrated plate rail. Picture railing and original restored built-ins throughout. Rare vintage light fixtures in all rooms as well as vintage doorknobs, escutcheons and hinges. Bright chef's kitchen featuring Viking stainless appliances and stone counter tops. Period correct bathroom renovations with china fixtures and hex marble shower floors. En suite master with 2 separate balconies. En suite junior master with balcony and claw foot tub. Beautiful grounds with specimen fruit and elm trees. Epic fully insulated garage with cathedral ceiling, custom carriage doors and shelving. Retractable side garage awning. Central air, copper plumbing and modern electrical wiring. An inspired romantic statement home." "Only two homes left! Hyperion Silver Lake is a sustainable, new home community in the the hippest area of LA. Located between Sunset Junction & Virgil Village, these 8 structurally independent homes are open plan & filled with incredible light from walls of windows. Enter into a formal foyer or from the two-car garage with direct access. Host guests in a large 1st floor bedroom with an en-suite bath. A master bedroom suite with walk-in closet & luxurious bath as well a 3rd bedroom with en-suite bath are both on the 2nd floor. The best part of the home is the open concept kitchen, living & dining room on the 3rd floor with a large walk-out deck. Open the full wall accordion door to enjoy true indoor/outdoor CA living. Have a glass of wine and watch the sun set on the Hollywood Sign, the Griffith Observatory, and the surrounding hillsides. Their modern aesthetic, sustainability, quality of their construction, smart technology & hi-end designer finishes truly make these homes unique." "Welcome to Melrose Hill - this tree-shaded community is a true gem of a neighborhood, tucked away from hustle and bustle of the city. The contemporary Craftsman home was custom built in 2017 with all permits in place. Ground level offers the 2 car garage, its walls painted Chroma Key green and used as photography/film studio, also perfect for home office. The bright and sunny living area is on the second floor, providing an open loft-like space to be used as your imagination and creativity allows. High beamed ceilings, bamboo floors, and wrap-around balcony with views of city and trees. Complete with modern kitchenette and bathroom. Perfect for creative type, will satisfy the need for uniqueness and originality. Surrounding garden is a true oasis exuding serenity and tranquility. Melrose Hill HPOZ. Also available for lease at $4,500 / month." 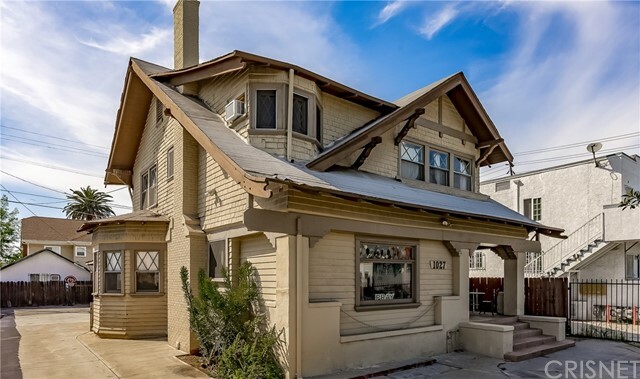 "1918 Craftsman Bungalow is nestled in the renown enclave of the Melrose Hill Historic District and protected by the HPOZ. Melrose Hill neighborhood of LA's Hollywood Studio District. An example of one of California's classic Craftsman style homes from 1918 with with an open and expansive floor plan. A large converted the basement on the property offering additional space as storage or a bonus room or additional income as a rental. Minutes away from shopping, dining and convenient freeways. This is a must see property. Call for private tour"
"This charming 1917 California Bungalow in Melrose Hill Historic Preservation Overlay Zone (HPOZ), nestles on W Melrose Hill - a shady tree lined cul-de-sac. The home has literally been a cinematic setting in this bungalow neighborhood. Enter the Living Room with its fireplace with original Batchelder tile surround, plentiful wood windows and doors filling rooms with natural light. Some hardwood floors are newer and some original. French doors lead out to a side yard and backyard patio. 2 Bedrooms share a full bath, and the Master Bedroom's Bath is ensuite with walk-in closet. The kitchen has an adjacent pantry, laundry and breakfast nook that looks out on a shady private rear patio. Live in a friendly neighborhood, with easy access to Hollywood, entertainment, and businesses. Other features: Enormous attic accessed by pull down stair, solar panels, central heat and air, tankless water heater, and copper plumbing. The garage finished as an Office with AC-would this be your 300 s.f.+ ADU"
"Now available in Los Angeles, a large vintage house, 3 bed, 1 1.25 baths, hardwood floors, original fireplace, built in 1908. Loads of parking off street. Text the numbers in the showing instructions to view and please give 24 hr notice. Please email all offers to the email in the contacts section." 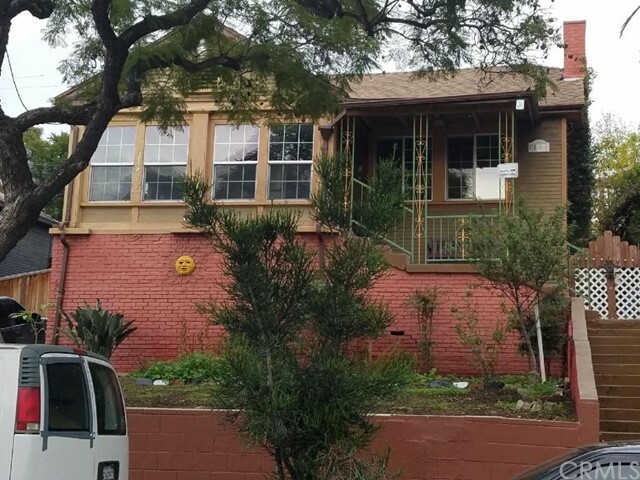 "Live and work from home in this spectacular, Silverlake California Bungalow. Built in 1905, the cheerful red front door invites you to this adorable 3BR/1Bath home.This property still has its original warmth and charm with many upgrades: newly plastered walls, freshly painted inside and out, refinished original wood floors, copper pipes, electrical, HVAC, remodeled bath, new 4.7 GPM tankless water heater, foundation upgrades, front & back porch upgrades, backyard with floating redwood deck and brand new low maintenance artificial turf yard. Just off the backyard a magical, studio loft-like work space was created from the original barn. Current Owner works from home in this inspiring, light and bright, studio space. A long, shared driveway, leads to a one car garage and large storage. Close to all that Silverlake has to offer- top restaurants and shops! Don't miss this super cute retreat in the middle of the city!" 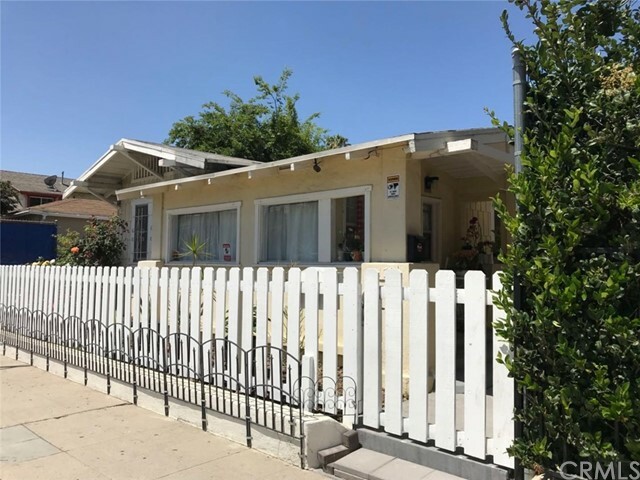 "This beautifully renovated Hollywood home features 4 bedrooms, 2 bathrooms and a fully updated chef's kitchen with stainless steel appliances, a Viking stove, including a wine fridge, island and breakfast bar for seating. The large open living room and dining room that flows to the open kitchen with their coved ceilings are perfect for family holidays and gatherings. Throughout the house, you'll find the original wood trim work and crown moulding with all the modern updates, including new flooring, recessed lighting, new dual pane windows, new central heat and air, copper plumbing and a new 200 amp electrical panel. The private master bedroom has an en-suite a with large closet and its own private entrance that could be rented for extra income. The backyard has fruit trees and is perfect summer BBQs and entertaining." "Live Non-Distress Auction! Bidding to start from $900,000! This charming duplex property features 2 houses! The 3 bed/2 bath main house plus 1 bed/1 bath apartment overlarge finished garage, situated on 6,750 sq. ft. Endless possibilities for income potential or multigenerational living. Located in easy access area to dining, shopping & entertainment. Less than mile to LA City College. Only 2 miles to Hollywood and Griffith Park. 5 miles to USC, Downtown LA, Downtown Glendale. 6 miles to Downtown Burbank. Currently LARD1.5 Zoning. Possibly can expand to more units. 1,617 sq. ft. main house boasts 3 bedrooms, 2 bathrooms, a laundry room & 2 additional rooms that can be used as home office, exercise room, or even extra bedrooms. The spacious kitchen and dining room open into the living room and the beautiful master bathroom contains a large shower and jetted soaking tub. The front yard offers a large front porch and fenced-in yard with an automatic gate. 690 sq. ft. apartment above garage includes a 1 bed/1 bath light & bright living space. A stove, dishwasher, separate washer/dryer hook ups come with this well-maintained apartment. 580 sq. ft. garage contains a separation wall & two garage doors, creating areas for studio, workshop, hobby room"
"This fabulous architectural townhome in heart of Silverlake checks all the boxes. Impressive high ceilings, attention to detail and form make the most of the abundant light throughout. Peek boo views to Hollywood sign. Over 1500 sqft bathed by light, hardwood floors throughout. Two large master suites, custom built cedar lined closet, well-appointed bathrooms. Wonderful flow throughout upstairs living area, modern open plan kitchen, latest appliances, separate dining area that opens onto a lovely private balcony, sip a morning coffee or afternoon cocktail. Powder room, bonus loft/ office/ yoga room/ 3rd bedroom? Choice is yours. AND more; washer & dryer in unit, central air, 2 secure parking spots, storage unit the size of a bedroom! Six guest parking spots! Designed by renowned architects Chu + Gooding. This is the one you are looking for, a perfect place to call home in this vibrant neighbourhood surrounded by popular cafes, eateries is a must see! CALL FOR ENTRY TO GUEST PARKING."